Deadpool should look shocked or even ashamed. Even the most outrageous character in any comicbook universe can go too far it seems. In the first movie there was a jaw-droppingly rude scene invlving a baby arm (Deadpool’s own) and masturbation. 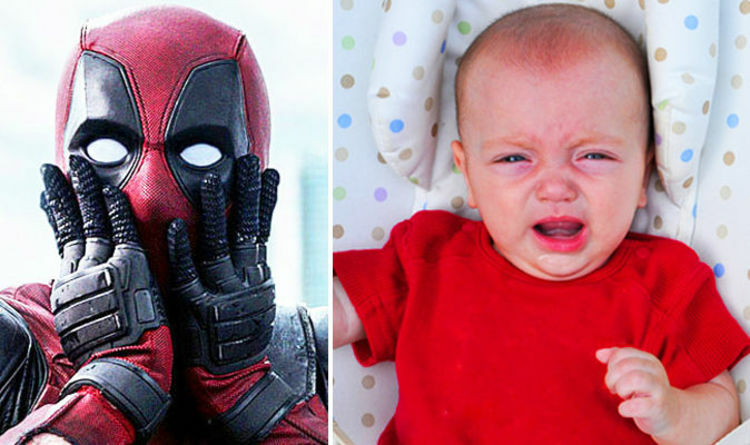 This time, for Deadpool 2 he actually strangled a baby. Why on Earth would they film that? In the end, early audience reactions forced the scene to be cut although it may still reappear on the DVD and Blu-ray releases. We have the disturbing details below. The scene is one of the end credits sketches which early reviews have called some of the funniest in the history of Marvel and its associated Fox spin-off. Yes, Deadpool travels back in time a nursery and has the chance to alter history forever. Although the sentiment is understandable, a fuller description of the scene reveals that it was possibly a little too graphic and gratuitous. Even Deadpool has limits, it seems. DEADPOOL 2 IS OUT ON MAY 16 IN THE UK. MAY 18 IN THE US. Deadpool 2 GALLERY reveals every CAMEO – Is Wolverine there?